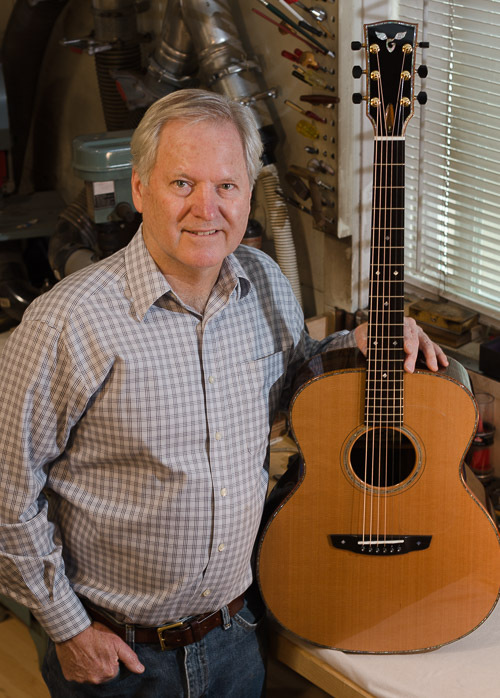 Goodall Guitars was formed in 1972 with a simple premise which became our mission statement, Acoustic Excellence. This means that our purpose is to build instruments with superbly rich tone, refined designs and appointments, and the greatest playability available in an acoustic guitar. We think of our guitars as a musical tool and strive for elegant design executed with precision, comparable to that of a master built violin. 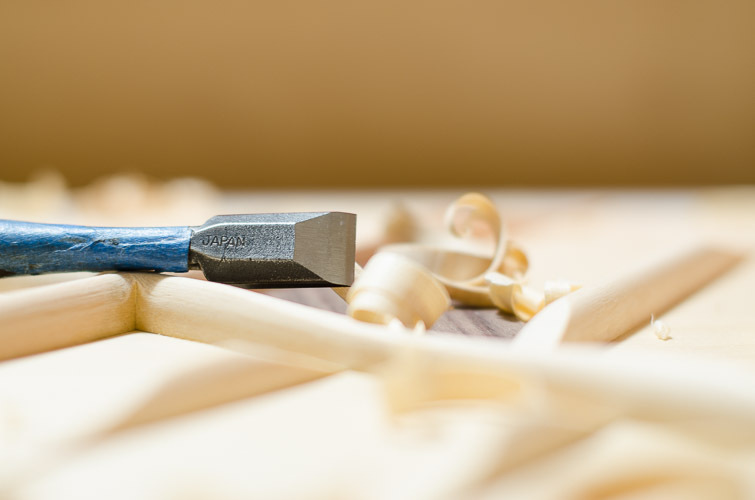 Our philosophy is to create the finest instruments available at any cost. Offering tasteful appointments, we avoid overly extravagant cosmetic options and allow the natural beauty of the woods to tell their own story. We are confident that the unsurpassed lyrical voice of our instruments will speak for themselves, and greatly inspire players toward their own acoustic excellence. 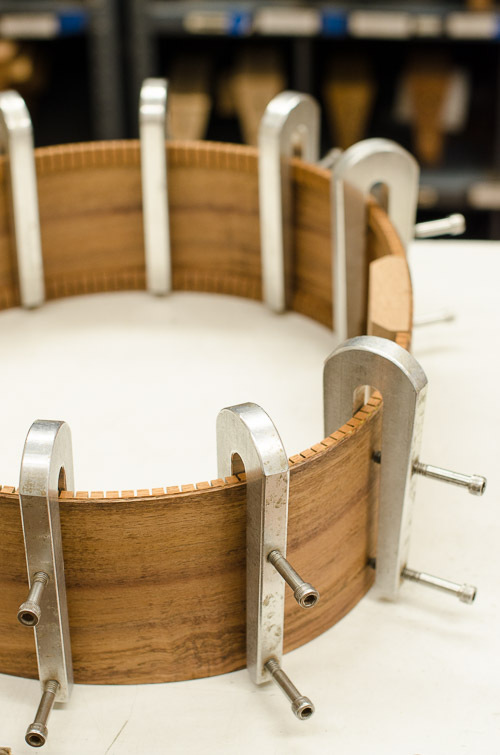 Each instrument is designed specifically for its player and then built by hand in Fort Bragg, California. We offer thirteen different model sizes, numerous wood combinations, five appealing series stylings, and five unique playing style categories. Whether you visit one of our fine dealers, or come see us in person at our shop, you'll be advised through every step of designing a dream guitar that corresponds to your needs and desires. 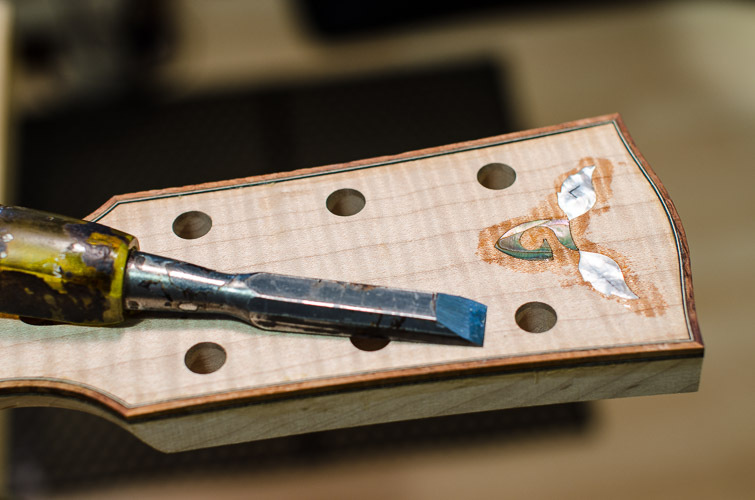 Our instruments are individually built with careful balancing in order to produce the greatest tone with the right balance of structural integrity. All models and categories are engineered to last, without excessive bracing which dampens tonal quality. We warrantee our guitars for 5 years. Designed by James Goodall, each refined model shape blends fantastic playability with comfort, complimenting players of all shapes and sizes with precision and ease. Each model has our exceptional signature tone regardless the size. 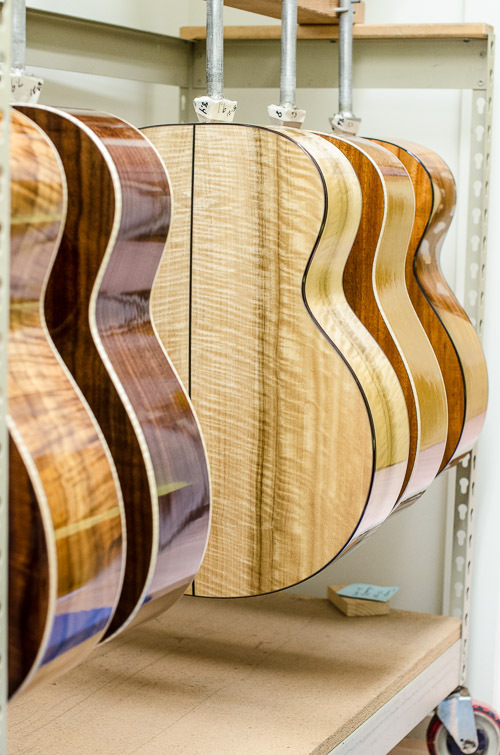 Your Goodall Guitar can be customized with a plethora of tone woods (over thirty species) to choose from, each with it's own unique aural qualities. Choose based on appearance, and by the tonal characteristics which match your playing style. 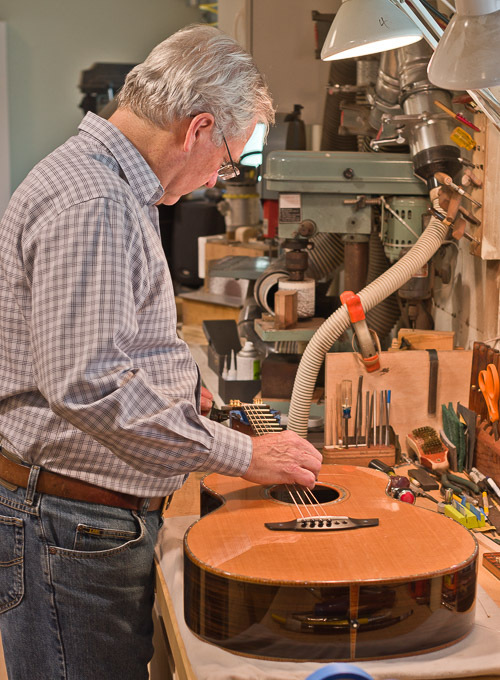 Every Goodall Guitar that we create is custom designed and painstakingly hand-built, with consistent care, and acute individual attention by James and Luke Goodall at our shop on Main Street in Fort Bragg, California. Together we have more than sixty-five years of combined luthier experience. We offer many options on all of our models, from slotted pegheads and unique tuning machines, to venetian or florentine cutaways and special shell inlays, it is certain that you can design a Goodall guitar that reflects your unique preferences. James is the man who started it all. His vision in 1972 began Goodall Guitars, and continues that spark of perfection into the future. James loves to create everything from guitars to woodwinds, and has shaped surfboards, made wetsuits, and painted oil on canvas seascapes. He loves the rugged Mendocino Coast, and does incredible seascape photography prints which can be seen on display - or even for purchase - at our shop. He loves to ride motorcycles, free dive for abalone, and has a small boat in which he enjoys trolling for salmon and bottom fishing. 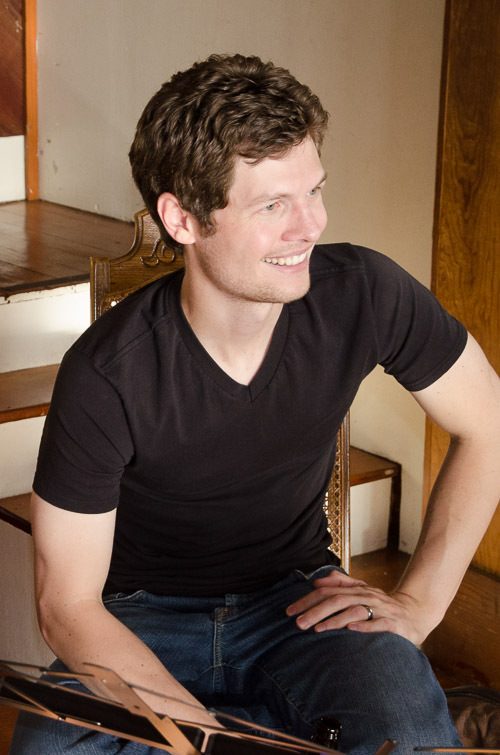 Luke started to work with his dad when he was a kid, sweeping the shop and cleaning, and eventually began to make parts, and then to train in the handicraft of the luthier. He has an eye for perfection, well trained by his dad to see detail and symmetry in design. Luke has been building instruments full time for more than 12 years, and intends to continue Goodall Guitars into the future as he begins to have a family. He enjoys playing his own Goodall Guitars. 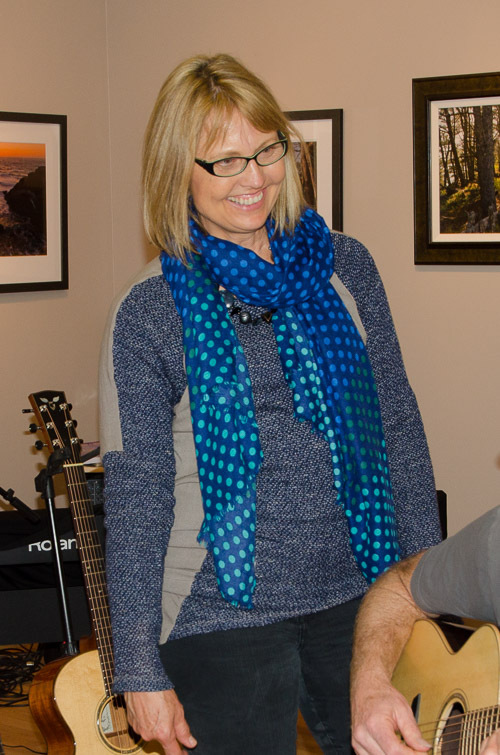 Jean is the backbone of Goodall Guitars, without whom the shop would likely not function. She talks with customers and dealers, answering calls and emails, and runs all of the business side of the shop. 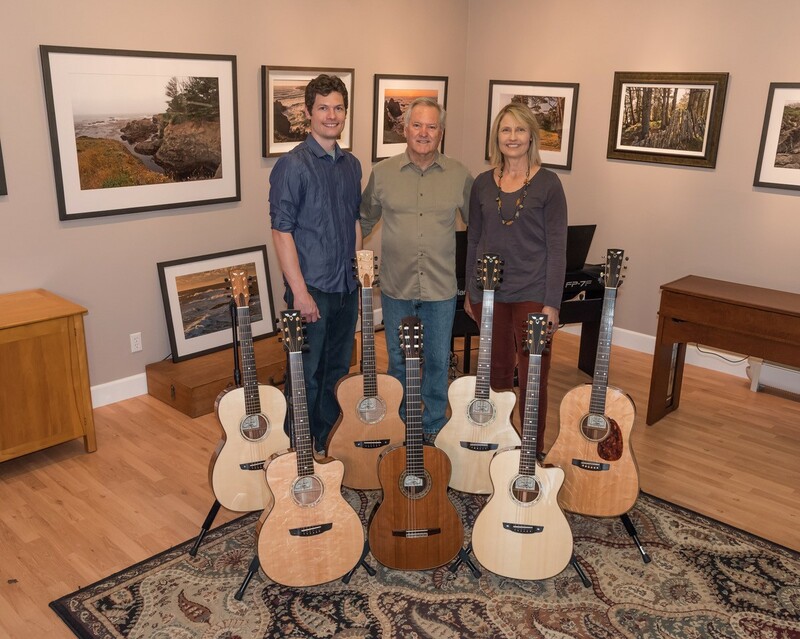 Jean and James have been working together since 1982 when Jean joined Goodall Guitars. Jean enjoys looking for antiques around the Mendocino Coast, and singing with the worship team at her church. We are happy to respond to email, or you can give us a call to help answer any of your questions. Jean and James handle all of the email and phone communication, so it's not always an immediate reply, however we will respond as promptly as we are able. Our Support page also features a Frequently Asked Questions section that is designed to immediately answer common questions that we have received via email in the past. We would also love to meet you. We have a gallery for you to relax and play our Goodall Guitars, which is also a showcase for James' beautiful seascape photography. You can even take a tour through our production area with Jean. 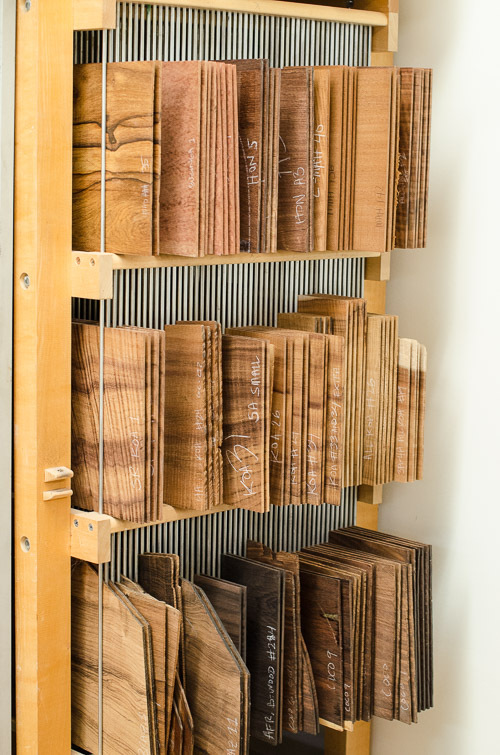 There you will see what goes into building a Goodall, and you can even choose tonewoods for your guitar from our wide selection of over thirty species. Drop us a line via email or phone, preferably in advance, and let us know that you'll be coming by!